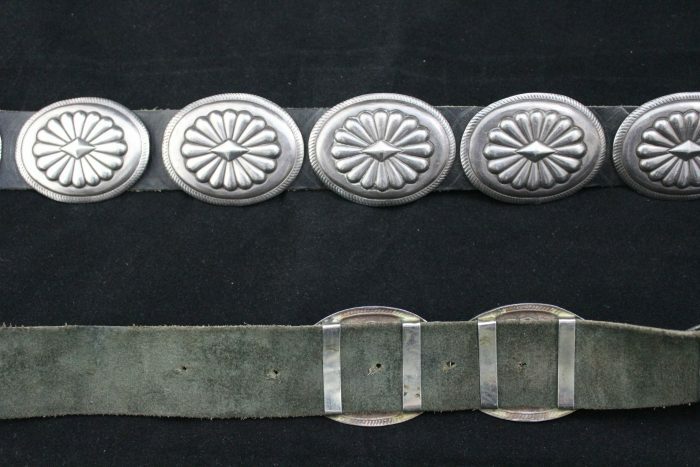 As a unique addition to your collection, we have this concho belt! It features thirteen coin silver pieces that have been hand-casted into an oval shape with a starburst design on the front. These are strung on a brown leather belt, with five holes for adjustable sizing. The buckle is made of the same coin silver piece. It is in good condition with minor scuffing due to previous use and age.